A dedicated team have a new, state-of-the-art home to help them rescue and rehome distressed animals, after working with one of Britain’s leading modular building companies. 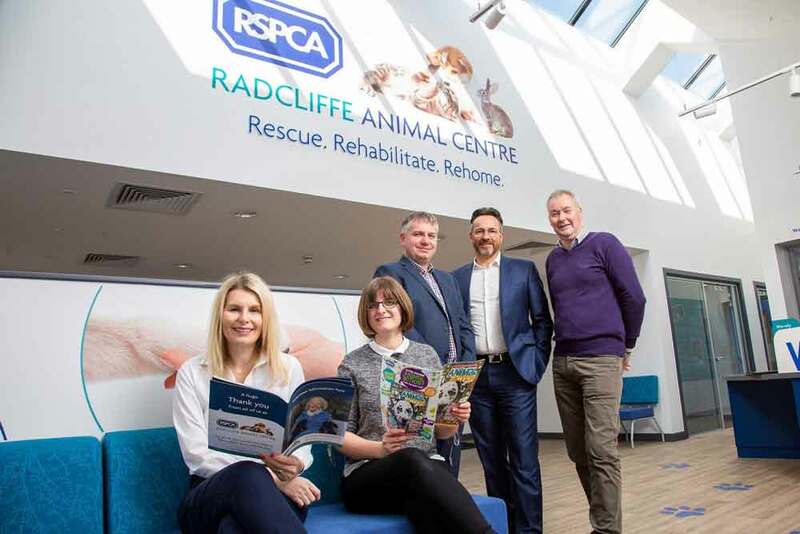 Integra Buildings has completed construction of the £1.1m rehoming and education centre at the RSPCA animal shelter in Radcliffe-on-Trent, Nottinghamshire. Built using an innovative modular manufacturing process, the centre will provide greatly improved facilities for staff, animals and visitors who want to offer an abandoned pet a forever home. In addition, a new education suite will help members of the community, and especially young people, learn about the centre’s work. Building work began last summer, more than 80 miles away at Integra’s production facilities in Paull, East Yorkshire. Working to plans drawn up by Williams Architects, of Nottingham, the award-winning Integra team designed and built the 24 modular sections that make up the new animal centre. Once completed, the units were transported by lorry to the Radcliffe site, where they were carefully craned onto foundations and assembled, like giant pieces of Lego. With all the modular units in place and expertly connected, the building was fitted out and decorated to create a showpiece facility. Work is now under way to connect services and prepare the centre for use before it becomes operational by the summer. “We’ve really enjoyed working on this project. Our superb team puts a great deal of pride and hard work into every job, but having so many animal lovers on the staff means this has been one of our most enjoyable projects. “I think that shows in the finished building. The quality of design, build, fittings and décor are all first class. The finished building, which is structurally guaranteed for 60 years, comprises a two-storey block, as well as a single-storey area. It features a reception area; adoption lounge; education room; suite of offices; meeting and consulting rooms; and staff facilities. The new education suite will allow the team to expand vocational opportunities for young people, by enabling classroom-style learning as well as hands-on experience. The new facilities will also help the RSPCA Radcliffe Animal Centre to support veterinary students at the University of Nottingham, helping to give the vets of the future a clearer insight into the work of animal welfare charities. The Radcliffe Animal Centre is an independent charity and financially independent from the national RSPCA. The new building is the culmination of a programme of investment over the past decade to replace outdated facilities, beginning with accommodation for the animals in the centre’s care. It was funded by bequests from supporters and there is now an ongoing fund-raising campaign to ensure the centre remains sustainable for the long term. “This new building is long-awaited and very much needed to modernise the centre and support the community. We’re so grateful to all our supporters and donors who have made it possible. “It will mean more people can come and visit us and hopefully give more animals their forever home. “The new education centre will help young people gain animal care knowledge and qualifications, something we feel passionately about. Understanding why animals end up at an animal centre plays a major part in tackling animal welfare as a whole. “It’s very exciting for all concerned, and a big boost for our staff and volunteers, but the biggest advantage is definitely for our animals." “We went for a modular building because of speed of delivery of the project and to ensure minimal disruption to our normal operations and the welfare of the animals. “We’re so pleased with how it has come together. It’s a high-quality building with lots of impressive architectural features. It also looks great, which is important as we’re a gateway building off the A52 leading into the village of Radcliffe. We wanted the new building to enhance the local community and the feedback from local residents has been really positive. Integra delivered the project for Williams Architects and it’s the latest in a series of successful projects that the companies have worked together on. “We decided to go with a modular build because, with cost in mind, we were able to achieve a higher quality of design within budget than with a traditional build. “It also helped minimise disruption for the RSPCA Radcliffe team. It was a big plus to be able to lift the sections in. “The RSPCA Radcliffe team’s previous premises had outlived their life, so they needed to invest in a new home. “Now they have a flagship facility of which they can be very proud and an attractive and welcoming place for people to visit, including for animal lovers looking to offer a pet a new home.